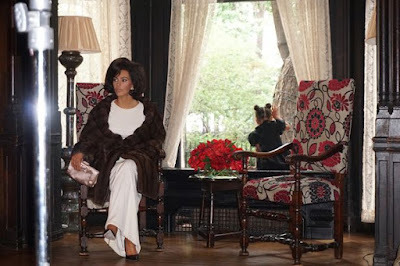 Kim Kardashian has shared some adorable behind the scenes photos of her recent Jackie O inspired shoot with daughter North, showing the amazing bond between the pair. 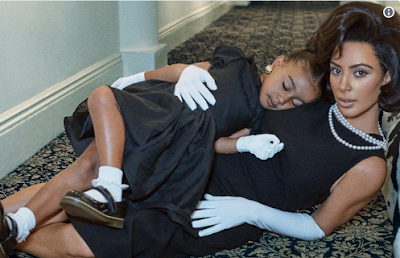 For her latest spread in Interview magazine, 36-year-old mum Kim channelled the first lady as she posed alongside North in the retro-inspired photos. After the controversial images were unleashed, Kim decided to give fans a glimpse of the 'real her' as she posted some candid outtakes on her app. 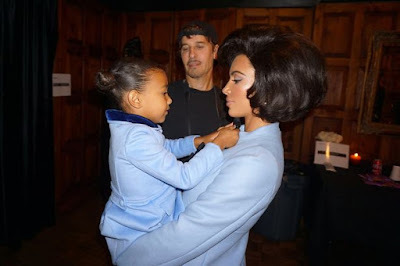 And it appears four-year-old North has already developed her mum's love of fashion as she spotted eying up a range of shoes, before getting into her 1960's costume. Though the magazine spread was bashed by some fans, who attacked Kim for not having the 'grace' to pull off the first lady's signature look, but she seem not to care. (2012) DVD The Amazing Adventures of ..